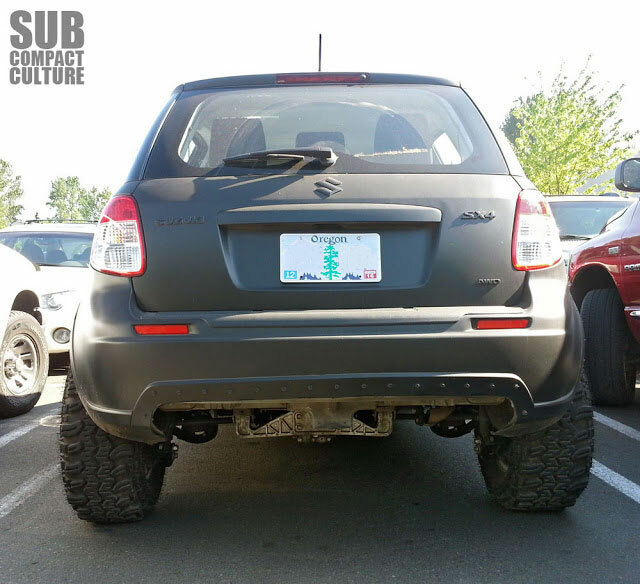 There aren't a whole lot of vehicles that'd make me stop what I'm doing, park the car, and jump out and take photos, but this badass Suzuk SX4 was one of them. I was literally in my car leaving the Costco parking lot in Clackamas when I saw this car. I have seen an image of it before, but did not know it was local to the Portland area. This is likely a 2013 model since it has the revised front grille and bumper. 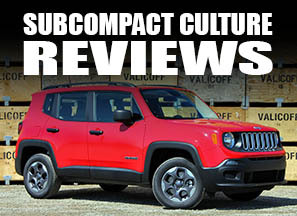 It is a six-speed manual and has all-wheel drive. 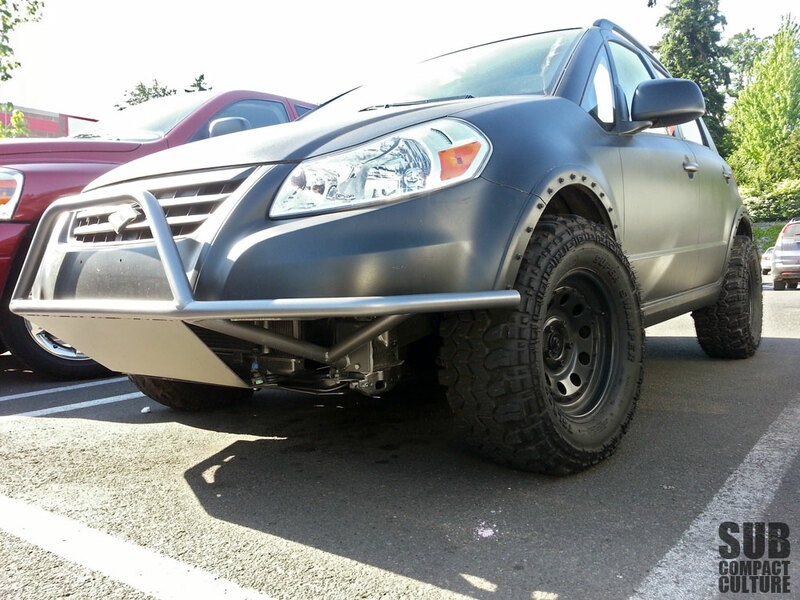 The owner has lifted it, fabbed up a tube bumper, installed some wide 15" steel wheels, and shod them with 29x10.50-15LT Interco Super Swamper tires. The whole thing is covered in a flat black finish, which only adds to the menacing look. Other noticeable features include the modification of the fender flares, now complete with visible bolt heads (again, it only makes the car look meaner), the removal of the rear plastic "skid plate," and what appears to be a muffler delete. Needless to say, I think this little rig is awesome. I love the direction the owner/builder took with the vehicle, as it's not something you'd see everyday ... let along every year. I hung around the parking lot for a few minutes snapping photos hoping the owner would appear, but unfortunately, they didn't. I did leave my business card. 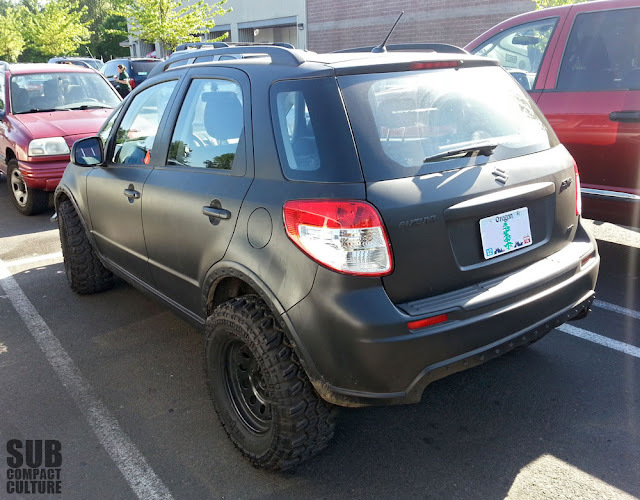 If you're the owner of this awesome SX4, I'd love to hear all about it, so feel free to e-mail me. Or, if you are reading this, Mr. or Ms. 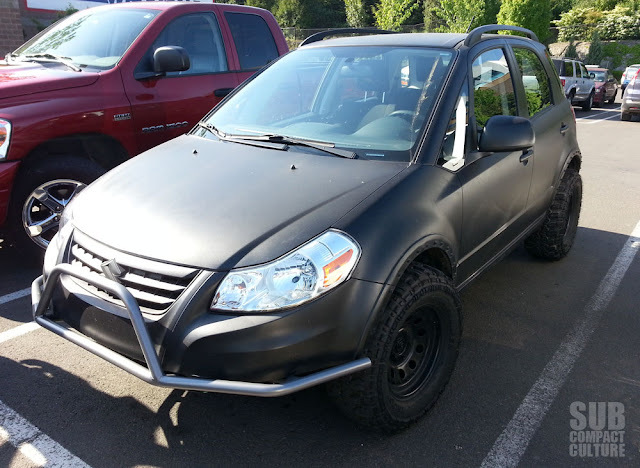 Owner of the Most Badass Suzuki SX4, share more info about it in the comments section. I really hope that the owner does contact you because that thing is pretty freakin sweet! did this guy ever get in contact? Already did. I post under the username Thirty-Nine. I'm pretty sure this guy lives at my apartment complex. Or visits. I've seen this car in the parking lot at my place in Happy Valley. Us at suspended kustomz did work on this bad boy cool to see it getting some recognition on the street. Crazy i came across this just looking at photos on google.. 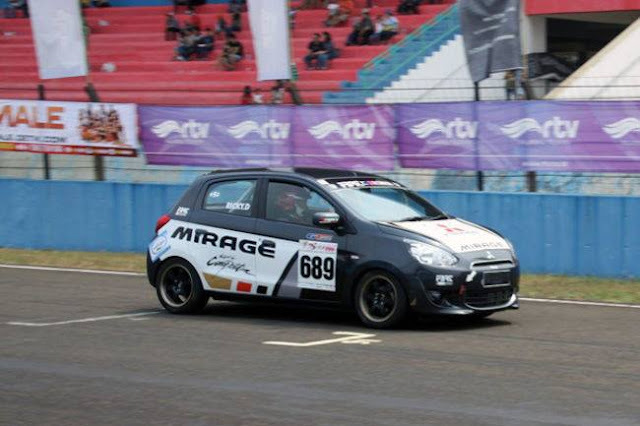 I did the bumper/ skid plate for this.. I know the owners of it also.. It is a sweet little rig and for sure different.. If you need anymore info on the thing email me.